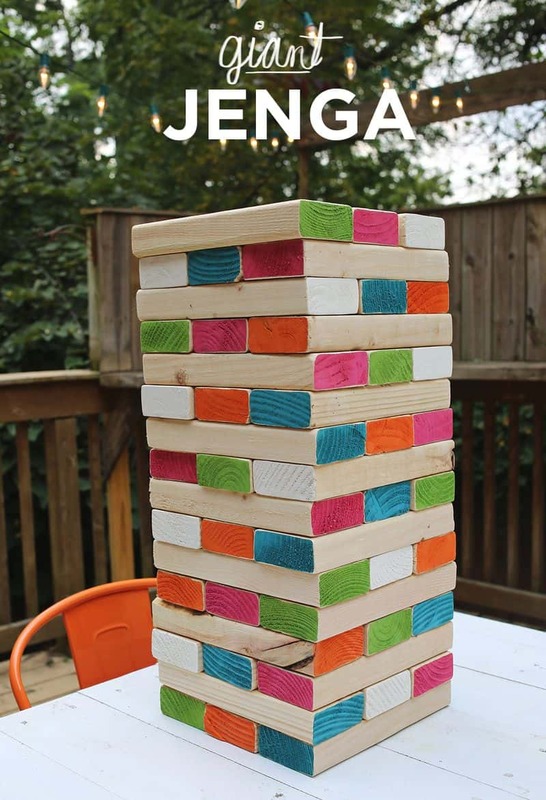 Cool DIY Idea ~ Giant Jenga !! 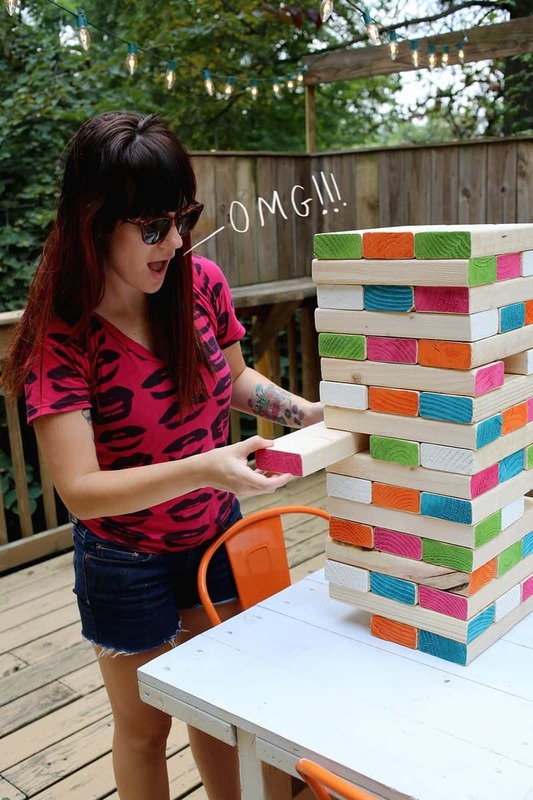 This cool DIY giant Jenga is a project that is easy and fun to make. It's also a lot of fun to use! All you need to do to create this awesome game is to cut some 4x2 boards to the right shape and maybe add some paint if you like. If you are unable to cut the boards yourself most hardware stores provide a cutting service. You will need 40 10.5 inch pieces. 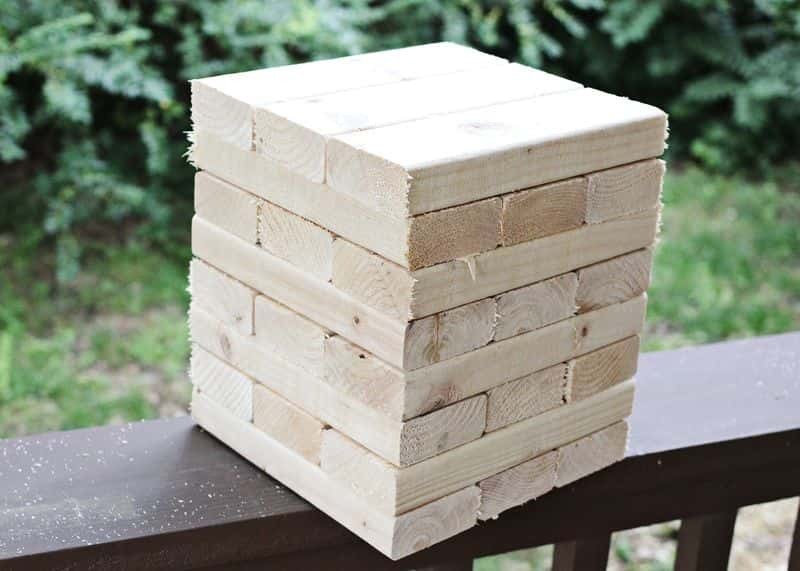 You can probably make an even bigger giant Jenga set just by using larger pieces. This is a fantastic game that will will provide hours of backyard entertainment! After the wood is cut you will need to ensure that you sand off any rough edges. You don't want anyone getting splinters and the pieces may not balance properly if they are jagged. When you select your would it is imprtant that you attemt to avoid wood with large knot holes or faults or you may end up with pieces that are not usable. Be warned though, once your family and friends see how much fun your Giant Jenga set is they may want one of their own. You could end uo making more than one, a cool and inexpensive gift idea.